What is a Brill Streeter? Generation Y has grown up with the tech world in their hands, creating a monumental rise in the consumer industry. With the ability to buy and shop online using tablets and smartphones, retail stores have been handed a click and go system to shopping. This tech shopping has undoubtedly made the retail industry a cat fight however. With needing to be tech-savvy and constantly “new,” consumers are able to compare their retail purchases within clicks to make sure they are making the best buy. According to the Automotive News “[it was] found that 50 percent of online car shoppers will consider any brand at first, with the figure rising to 54 percent among Gen Y.” This is a large percent of consumers willing to consider ANY brand at first, which is why it is crucial to make a good first impression. 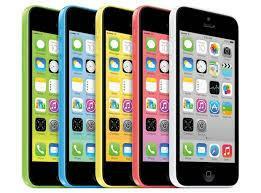 Apple came out with its new iPhone 5C and 5S on Wednesday and did it bomb. The lesson we should learn from this release, is that a company should do their research before they come out with the newest technology, especially a company like Apple. The iPhone’s “new” 5C is a replica of the “already released Nokia 620 which has already been out for months.” The new touch screen has already been on Dell’s software since 2007 and Nokia’s age old laptops and smartphones. The price point is anything but cheap for Apple’s new products, which is also anything but new for the product name itself. The main takeaway however, is that Apple has some steep competition coming its way in the retail world. If 54% of Gen Y is able to consider any brand at first for a purchase, will they, as Cricket’s slogan has asked, choose the more expensive from two of the same?